I was also pleased to see, at a somewhat lowly number 9, the instruction to “avoid clichés”. Aha, there’s the rub. The constant effort needed to avoid the use of clichés must be the bane of the sportswriter’s life. It can be (with the obvious exception of reporting war) the most difficult of all journalisms. Imagine trying to find different ways of saying the same things on an often daily basis! But cliché and mediatised sport go hand in hand. One of the more delightful consequences of a 24/7 365 television football culture is that it provides obsessives like me with an opportunity to compile lists of some of the most prevalent and meaningless phrases currently uttered about the so called beautiful game. As I say, I’m not alone in this pastime. The internet is awash with men (it’s always only men) doing the same. We’ve also lovingly curated inventories of the top 10 overseas players to grace the premiership or the 5 most gaudy away kits ever or the 11 Welshmen who would have breezed into the England set up. So, as we approach the business end of the season, please allow me to present, in no particular order, a current top 5 of football punditry clichés. Crept up on us, this one – but it’s usually said after the away side has won 5 -0 in little more than a training ground exercise. The nonsense of a “difficult place to come” is shown up in all its evident stupidity by the three teams relegated every season who bend over backwards (sometimes literally) to lose most of their home games very easily indeed. File alongside “no easy games in this league”. The lad’s not that type of player. Mostly spoken in reference to defenders at mid to bottom table struggler’s whose team’s continued presence in the league is often dependent on said defender’s ability to flatten/hospitalise the flair players of the opposition. In almost every case, they really are that type of player. He’ll be disappointed with that. Said when a usually reliable striker skies one over the bar from 6 yards. This is one of the gentlest of ways in which a pundit can express his disgust. It’s very much a cop out – borne, I think, from the unwillingness of freshly retired players to criticise fellow professionals. How we long for the return of Dave “Harry” Basset erstwhile former manager of Sheffield United and Wimbledon.” He couldn’t hit a cow’s arse with a frying pan.” That’s what Harry would say. Best league in the world. Perhaps Sky pundits have a requirement to spout this nonsense written into their contracts. There is an almost heroic commitment to the frequency with which this phrase is uttered and, of course, its beauty is in the very subjective unprovability of it. For Super Sundays on Sky, nowhere outside the Premier league exists or has ever existed. It’s really good to remind yourself of that when you are falling asleep in the midst of another classic bore draw. Now a perennial favourite, a certain penalty is deemed to be “stonewall”. How on earth this came to be interpreted as undeniable is anyone’s guess – but the original usage of the term may be traced back to Brigadier General Barnard Elliot Bee Jr, a Confederate soldier in the American civil war, who reportedly referred to contemporary Brigadier General Thomas J. Jackson’s obduracy in the face of enemy attack with the words, “look at Jackson standing there like a stonewall”. From then on Thomas Jackson became known as Stonewall and some 150 years later every single Match of the Day will have one penalty incident which, whether awarded or not, will be “stonewall”. I hope it’s obvious that everything written above is affectionately intended. 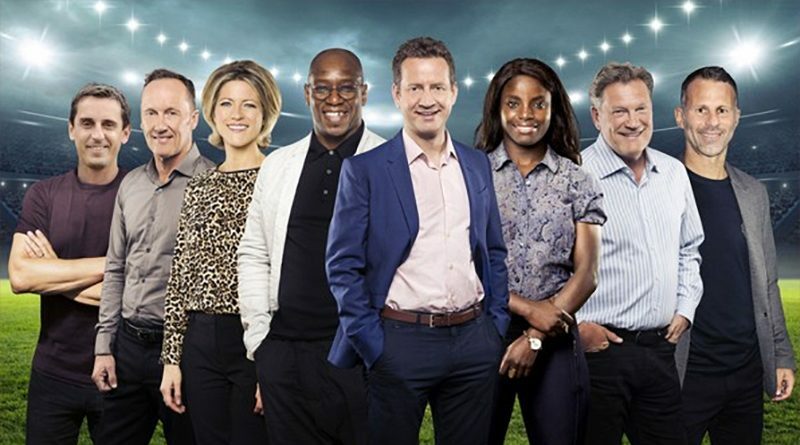 The general standard of football punditry on both terrestrial and satellite channels is very high and has been enhanced by the recent introduction of women contributors such as Eni Aluko and Alex Scott. And though it’s true, as Laura McAllister (columnist, Professor at Cardiff University’s Wales Governance Centre and former captain of the Wales women’s international football team) has pointed out, that there is a distance in the journey towards equality that still has to be travelled, professional women’s football appears to be entering an unprecedented age. It was this week announced, in an undisclosed multi-million pound deal, that Boots the chemist will sponsor the home nations and Republic of Ireland women’s teams in a three-year deal which covers this summer’s World Cup in France and the 2021 European Championship in England. Perhaps even more important is the fact that attendances at women’s matches everywhere are on the rise. In May, 45,423 spectators were at Wembley to see Chelsea beat Arsenal 3-1 to win the FA Cup whilst in mid-March of this year a record crowd of 60,739 watched Barcelona beat Atletico Madrid 2-0 in Madrid’s Wanda Metropolitano stadium. Eni Aluko, who last week played for Juventus against Fiorentina in front of an Italian record capacity crowd of 39,000, said she could see a time when crowds of 40,000 were the norm in women’s football. Week in week out, as the pundits might say.